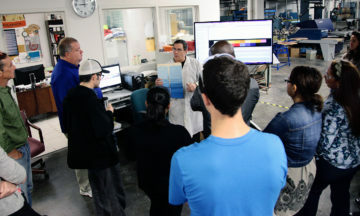 By Staff Whether a local startup needs help testing a product, a national company wants assistance developing a new fiber or a global business is looking for workforce training, the College of Textiles is here to help. Since 2006, Zeis Textiles Extension (ZTE) has taught more than 650 courses to nearly 15,000 students with an economic impact in excess of $350 million. Read more about the extension and its mission to foster innovation and boost the local economy. By Staff Through a recently National Science Foundation funded $1.2 million ITEST grant, Jere Confrey and her team will continue to help math classrooms redesign group work to inspire and engage children through entrepreneurial problem-solving and coaching. 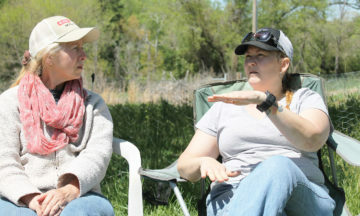 By Staff Through NC Farm School, participants gain more than insight into the ABCs of agricultural business planning. They also forge new networks and new friendships. By Staff Two programs in NC State’s Department of Crop and Soil Sciences illustrate the creative, compelling ways that CALS faculty members get kids excited about agriculture and biosciences. By Staff A team of computer science, education and museum researchers is launching a project to better understand how museum visitors interact with educational exhibits. The ultimate goal: helping museums capture public interest.